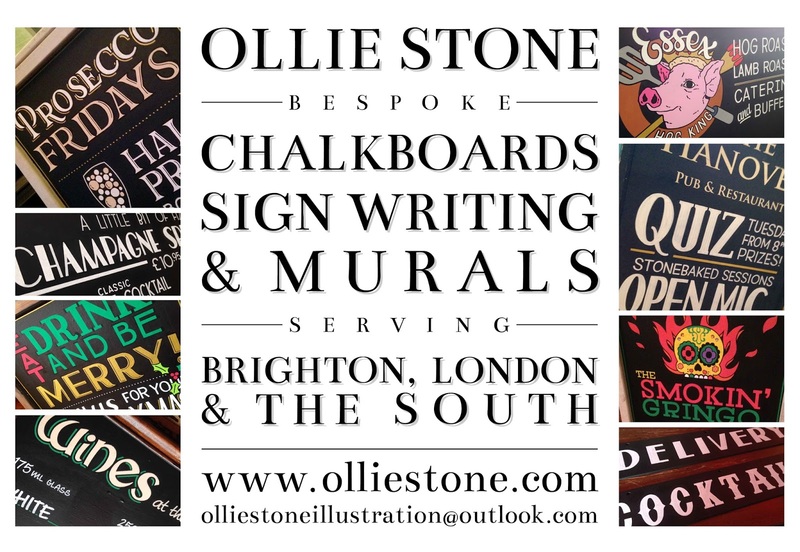 Brighton, Eastbourne, Hastings and South-coast Signwriter. 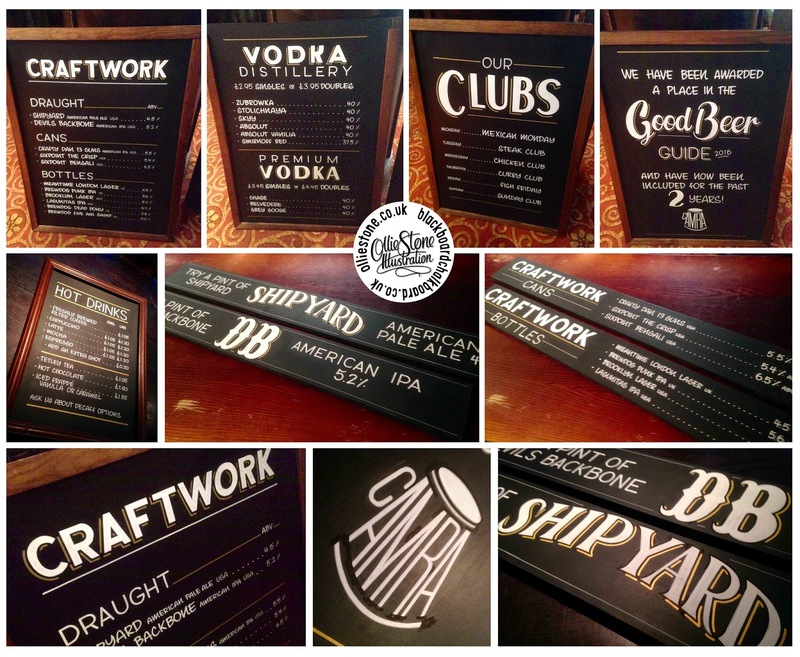 Simple chalkboards for All Bar One in Portsmouth. 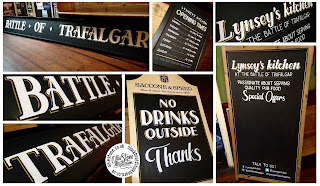 Hand-painted signage for The Battle of Trafalgar in Brighton. 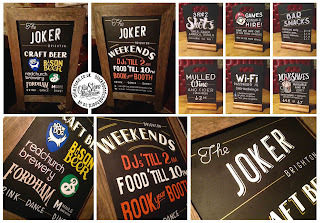 Assorted chalkboards for The Harvest Moon in Orpington. 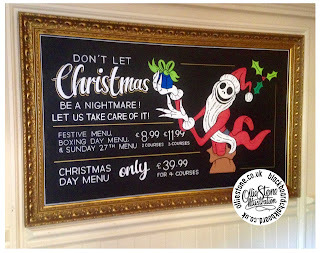 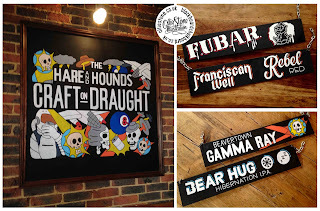 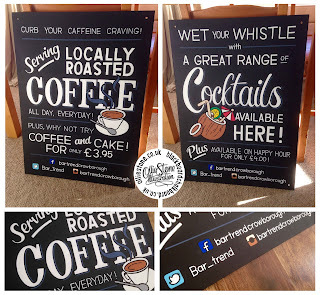 Eastbourne and Brighton-based chalkboard artist. 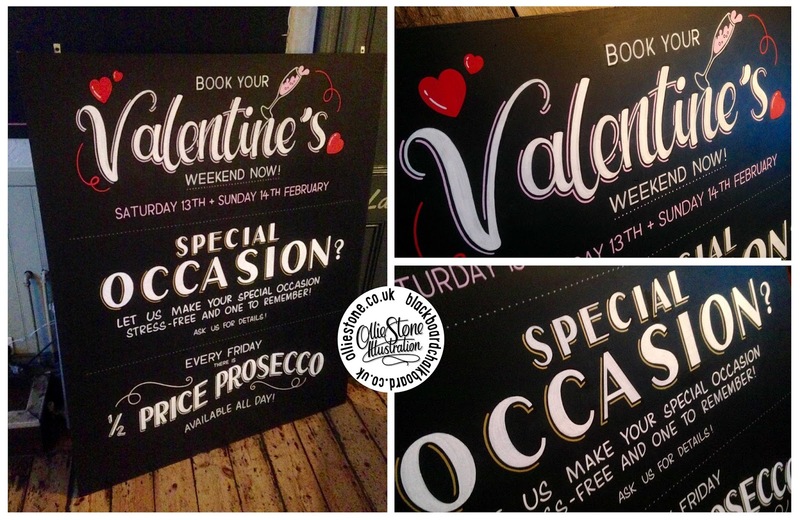 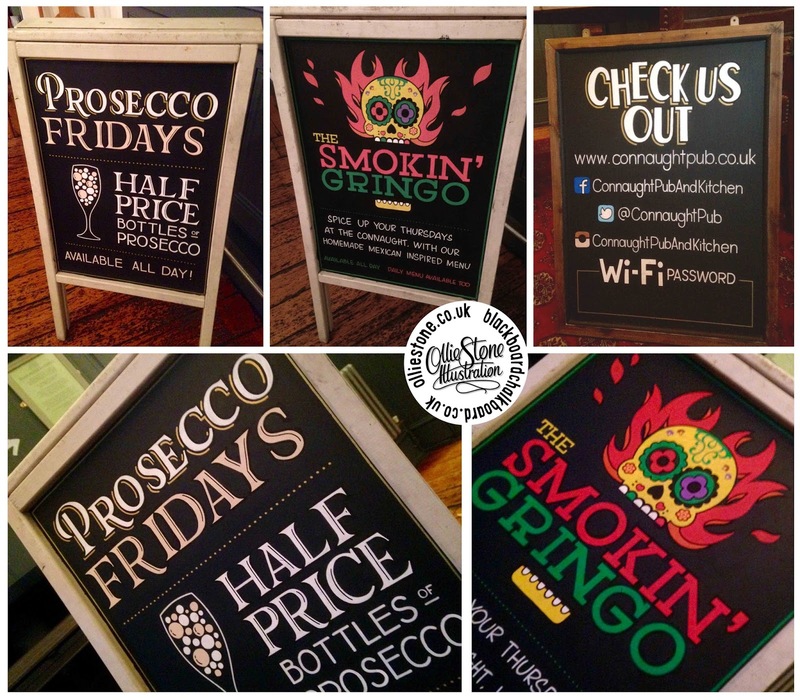 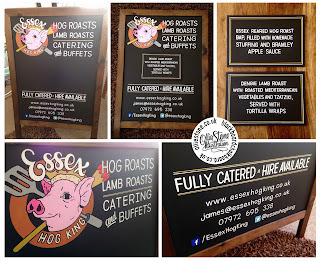 Assorted chalkboards created for The Harvest Moon in Orpington. 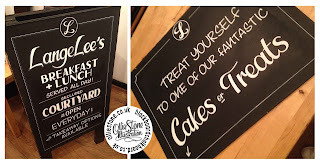 Chalkboards created for LangeLee's Café in Brighton. 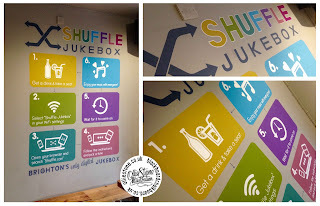 Wall mural created for Shuffle Bar in Brighton. 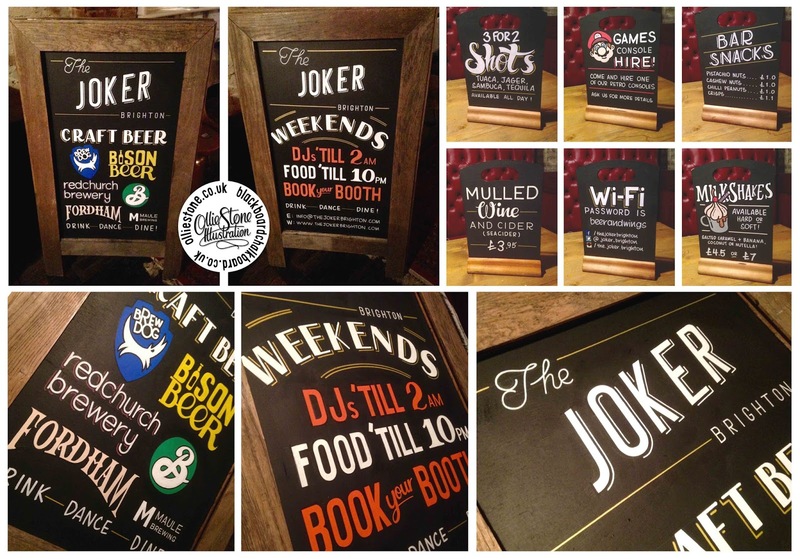 Assorted chalkboards created for The Joker in Brighton. 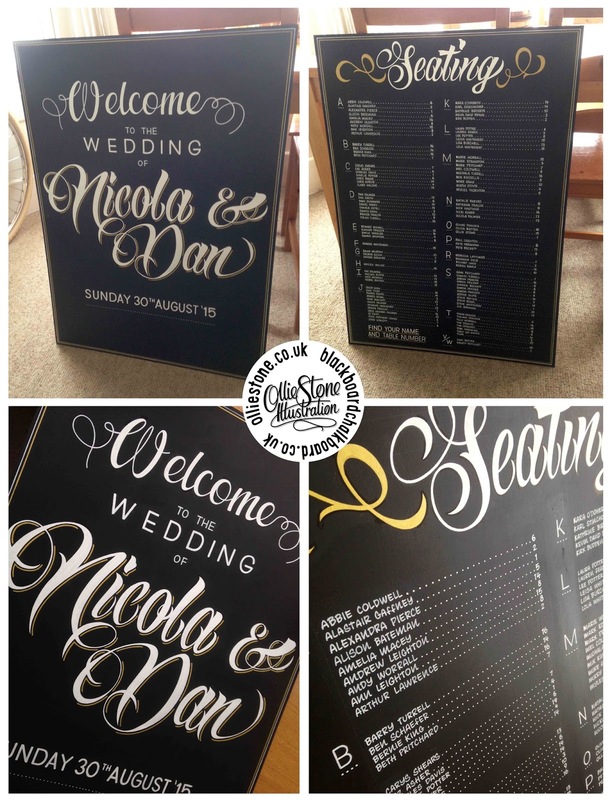 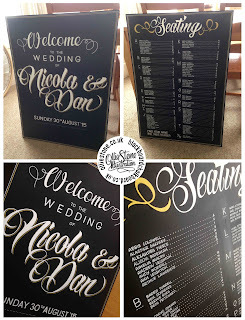 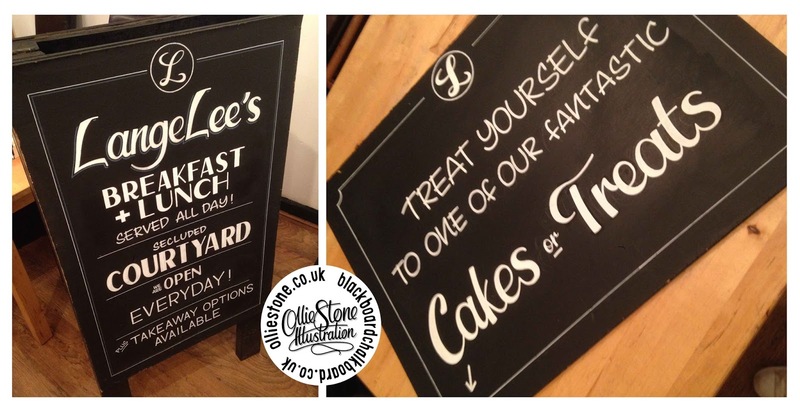 Bespoke sign writing and chalkboard design. 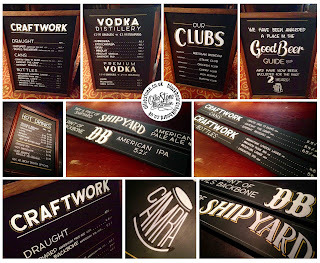 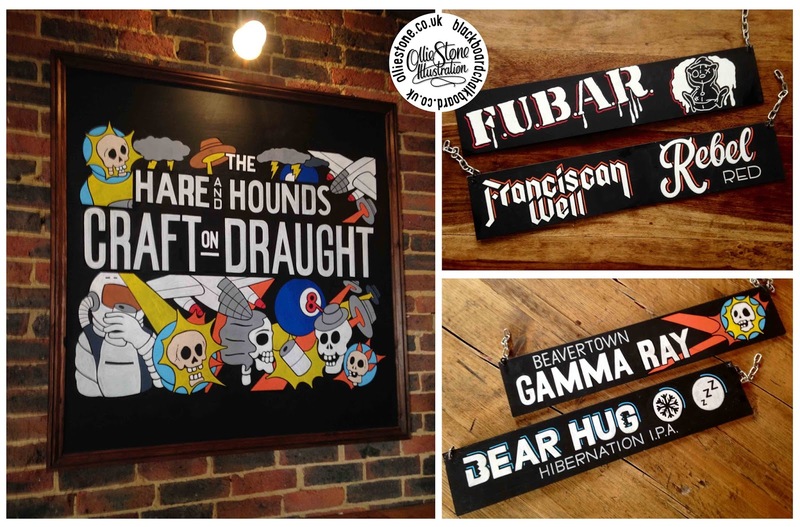 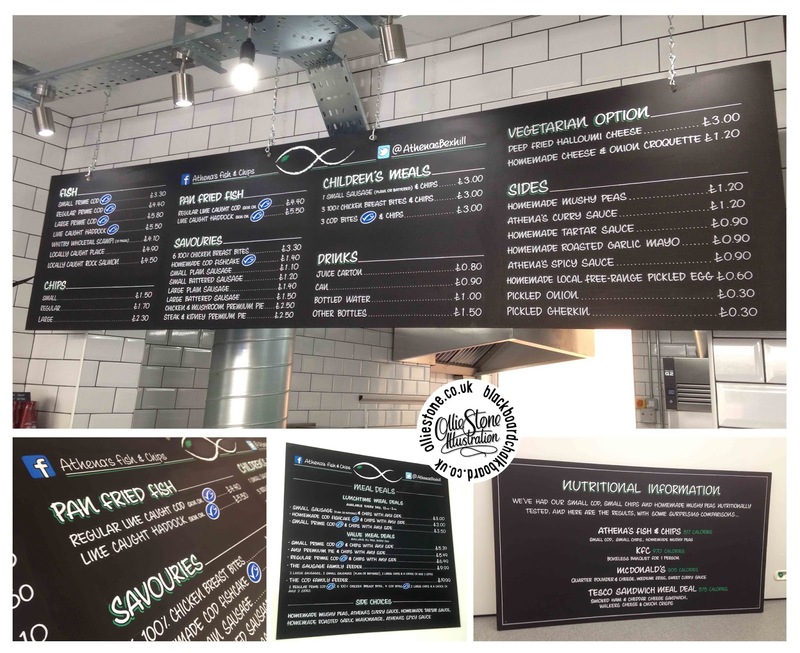 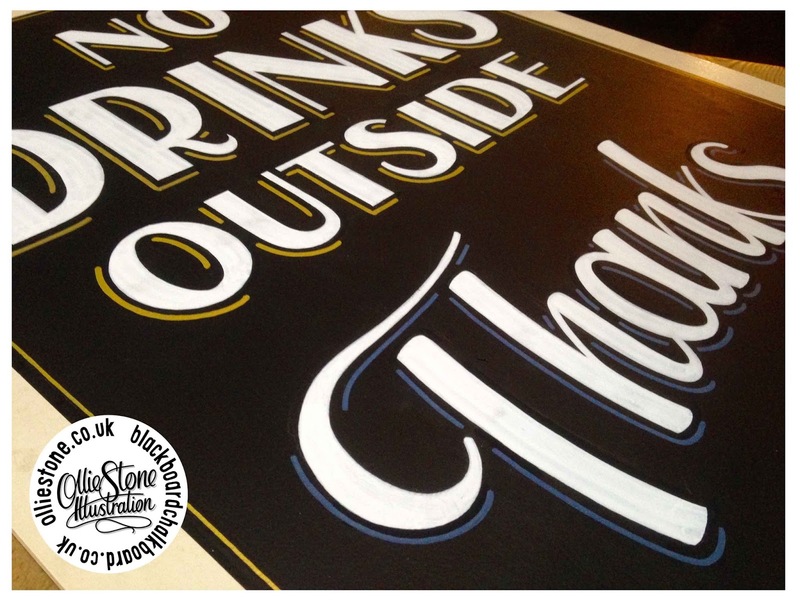 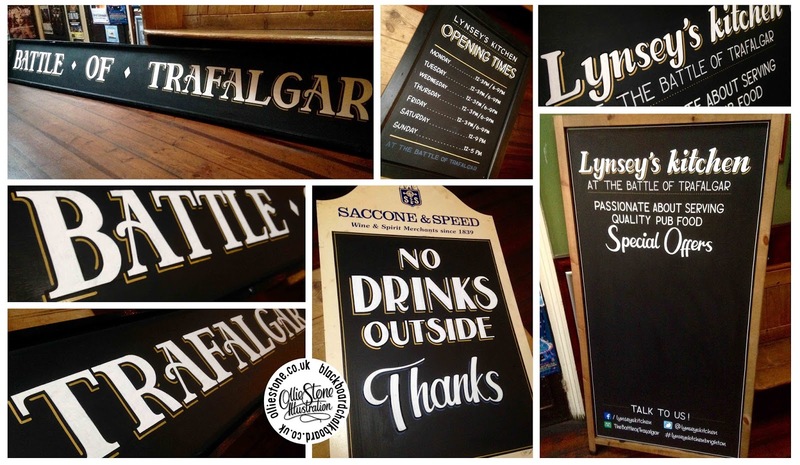 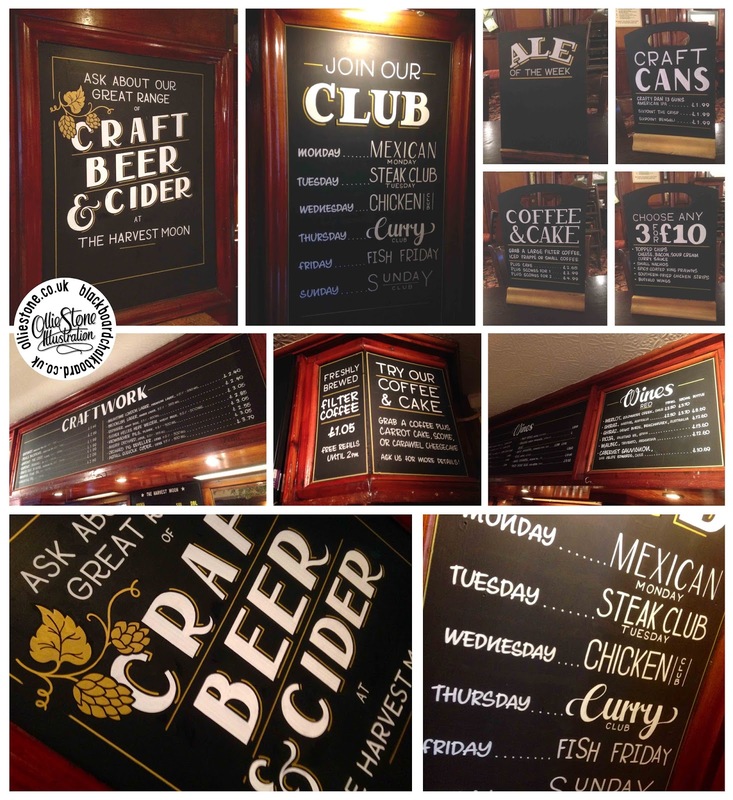 Hand-crafted signage and blackboards for pubs, restaurants and cafés. (Soon-to-be) Outdoor signage for Bar Trend in Crowborough. 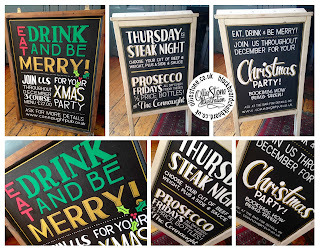 Hand-written signage for The Connaught in Hove. 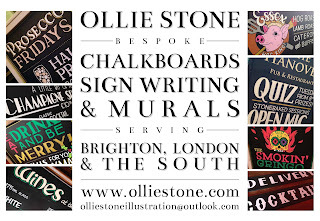 Wine tasting mural for The Connaught in Hove. Wine list chalkboard for The Earth & Stars in Brighton. 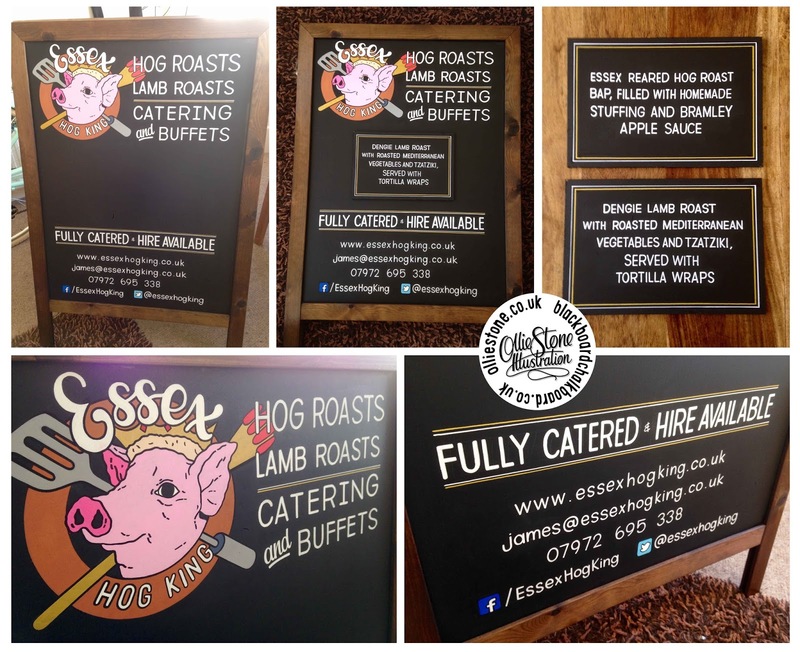 Pavement board and removable plaques for the Essex Hog King in Essex. 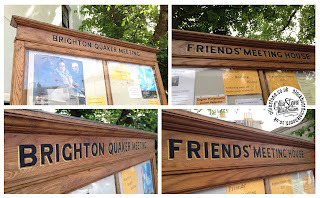 Hand-written signage for Friends' Meeting House in Brighton. 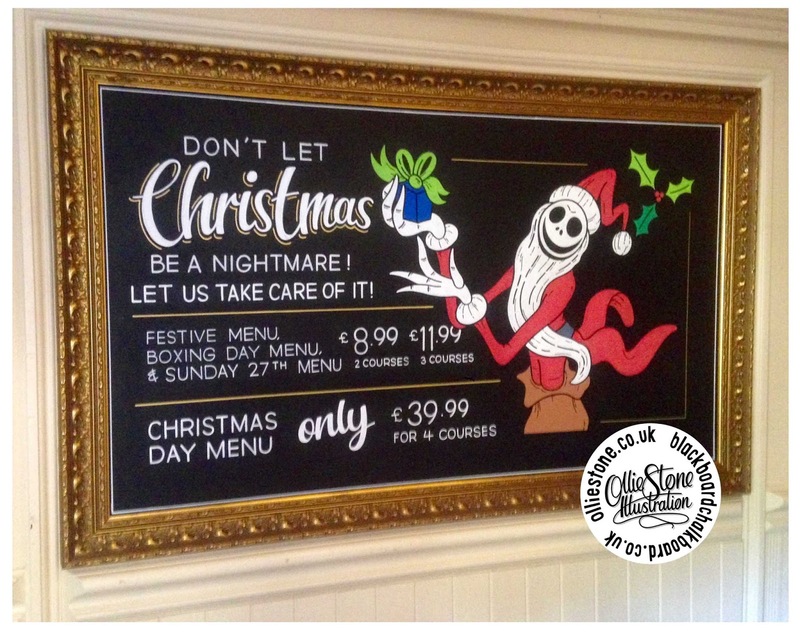 Christmas chalkboard for The Holly Blue in Pevensey. 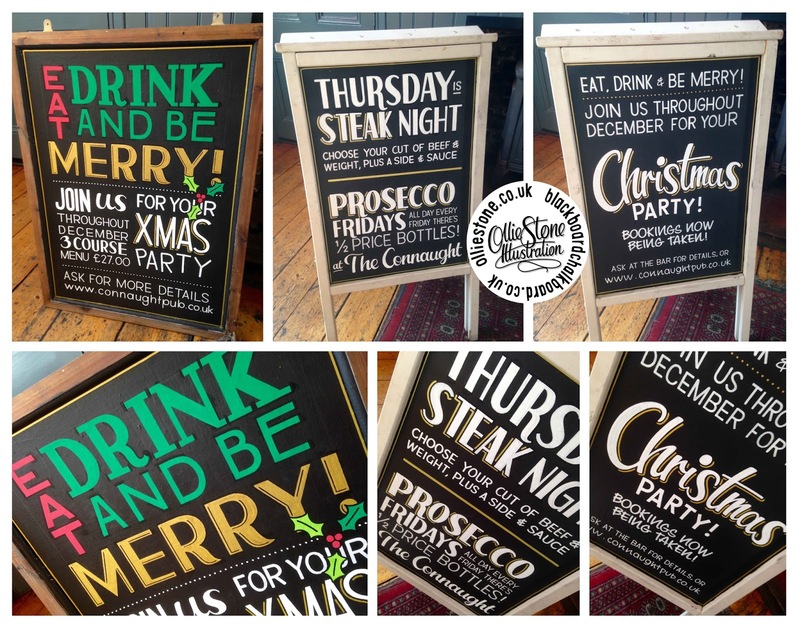 Bright, bold signage for The Hare & Hounds in Brighton. 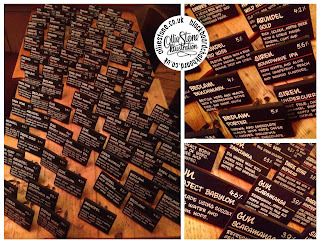 Ale tasting notes for Indigo pubs in Brighton and Hove. 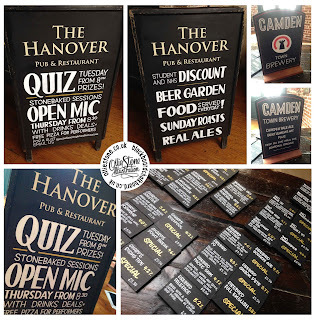 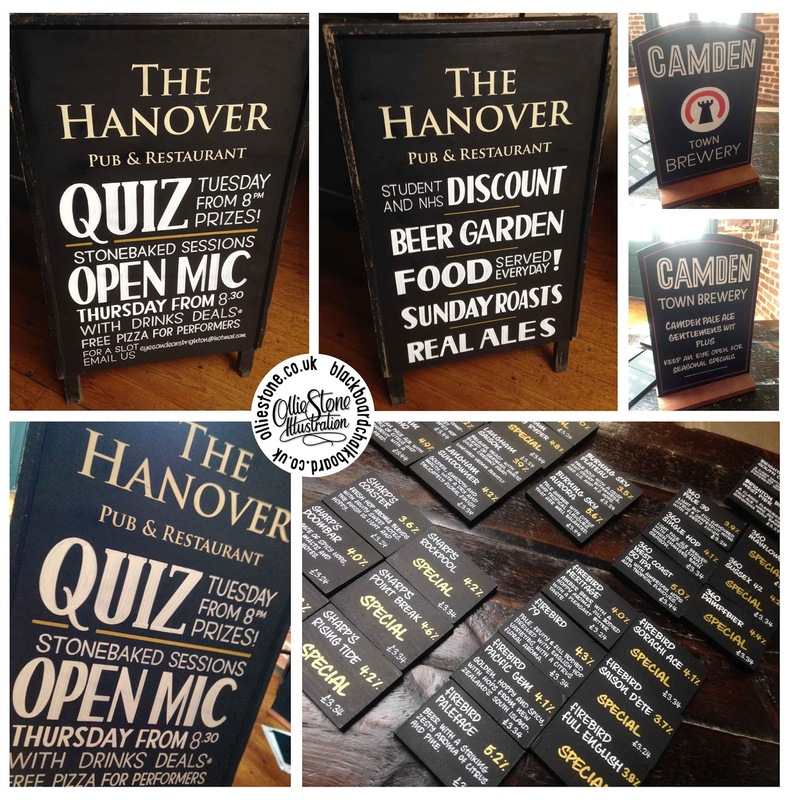 Various bespoke signage for The Hanover in Brighton. 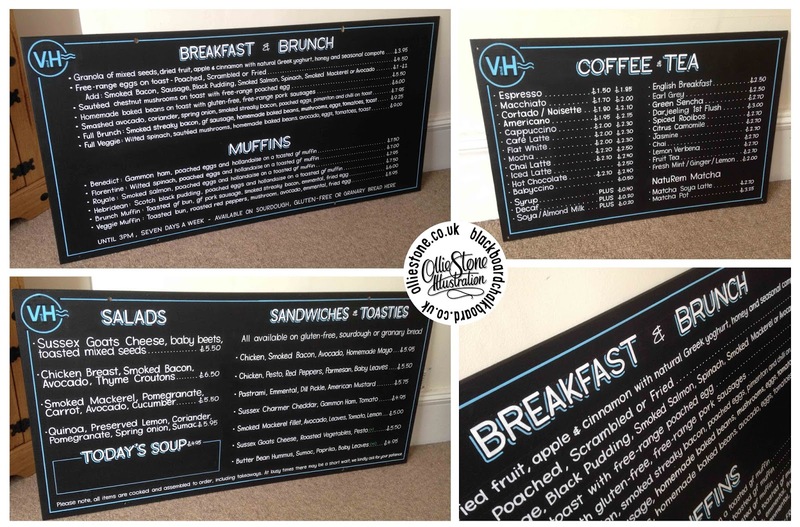 Bespoke sign writing and menus for cafés and restaurants. Fish 'n' Chip shops - Athena's in Bexhill. 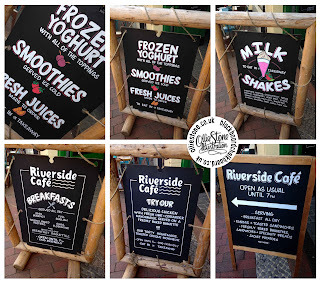 Cafés - Grints in Brighton. 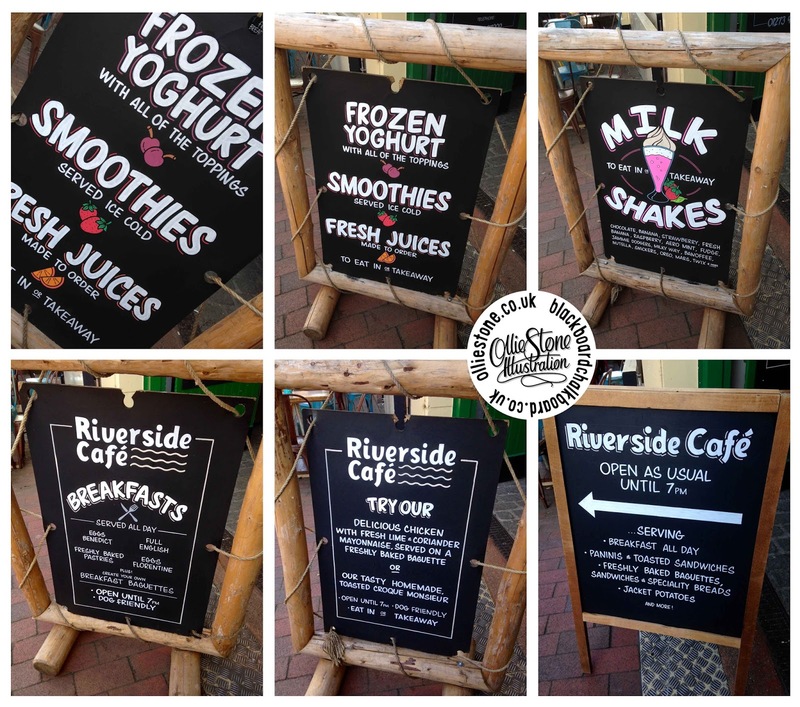 Cafés - The Riverside Café in Lewes. Cafés - V&H Café in Hove. 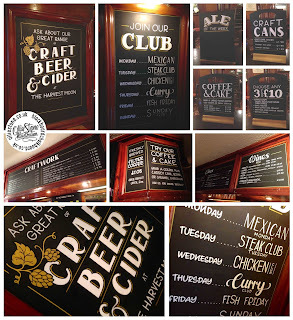 Pub and bar blackboards, chalkboards and sign writing. 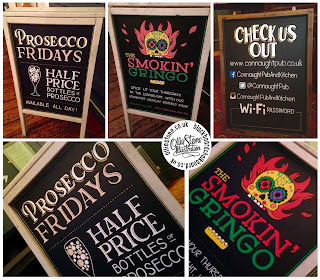 Signage for The Connaught in Hove. 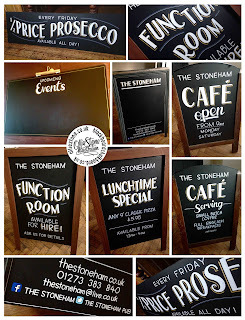 Signage for The Jack Fairman in Horley. 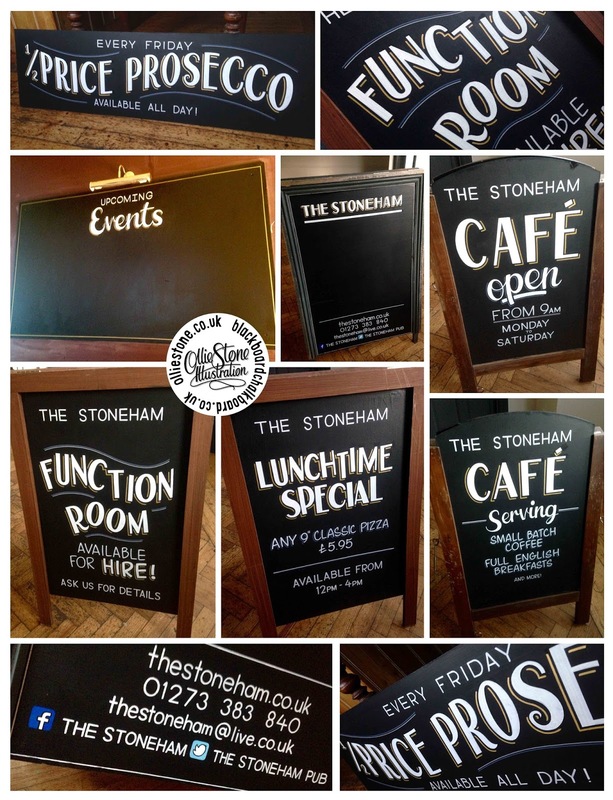 Signage for The Stoneham in Hove. Signage for The Dyke in Brighton.